Grain management is considered to be one of the most time-consuming and essential parts of the production process in the farming industry. Cutting the time you take to load a grain storage unit or transfer for transportation will increase your efficiency and speed up the process of your daily routine, saving your time, money and effort overall. REM grain vacuum products require certain types of oil to run efficiently and without issues. You must take care to read the distinct serial number tag which is displayed on the blower which recommends the type of oil you require. You should change the oil every 100 hours of activity. It is important to regularly check that the blower is not overheating, by using the blower for the amount of time as recommended in the products usage documentation. You should always let the machine cool down completely if it has overheated, and allow the system to recover. The safety screen on your GrainVAC should never be removed while the machine is in operation, but if there is a build-up on the screen to the point where it has become opaque, the machine should be shut down and cleaned when finishing operations. To save you this effort, run the machine at a lower rate to avoid build-up on the screen. If you find that your REM GrainVAC VRX is not sucking as it may have once used to, there are regular maintenance checks you can make to ensure it keeps its maximum suction abilities. 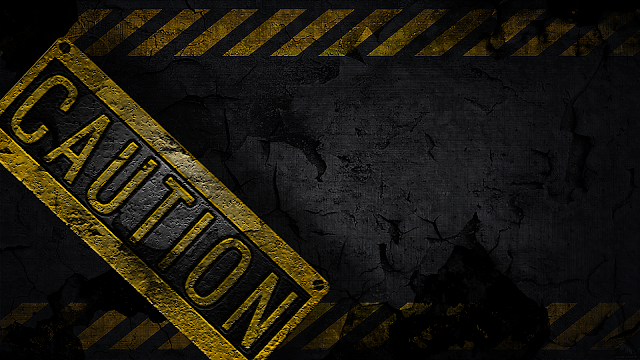 Quickly check that all gaskets are in good working condition and that all inspection hatches and doors are closed. Check for any air leaks in your piping and also for any obstructions that may be blocking the pipes. As grain vacuums shift huge capacities of grain every hour, keeping the radiator and air intake fans clean is one of the best ways to improve the overall efficiency of the machine, keeping it in top shape. 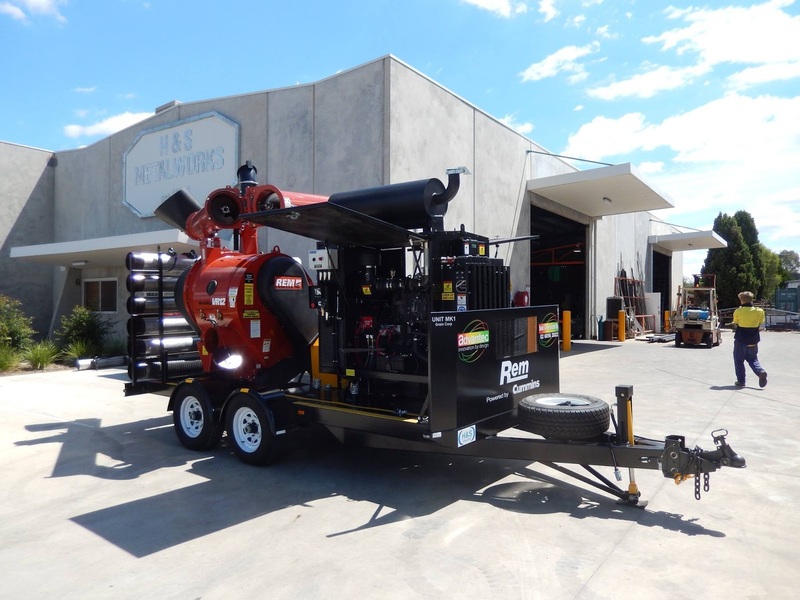 Normally, shutting down the machine and performing a take-down is the last solution you need due to extended downtime of the machine, but with a reversible fan such as the CLEANFIX fan, you can simply reverse the suction to blow out all of the debris from the radiator, saving you hours of laborious time. Many of the older models of grain handling equipment suffered from reliability issues in the past, modern grain vacuum systems such as the REM GrainVAC VRX has been totally redesigned to improve reliability, efficiency, and more capacity when in use. 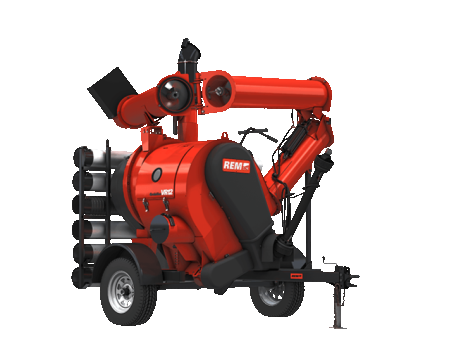 These top of the line machines, such as the REM 3700 Grain Vac provides improved functions for grain handling and in many cases provides a complete replacement of typical grain auger use. The efficiency of the REM grain vacuum solutions not only apply to the huge capacity in which these machines can move grain, but also these energy savings apply to manpower in the way that cleaning and maintenance are reduced thanks to its reversible CleanFix fan system - as well as the initial investment. Grain vacuum systems also reduce the time you need to spend inside a grain bin, making them a much safer alternative to both small-scale solutions, as well as the use of grain auger systems and their own issues. 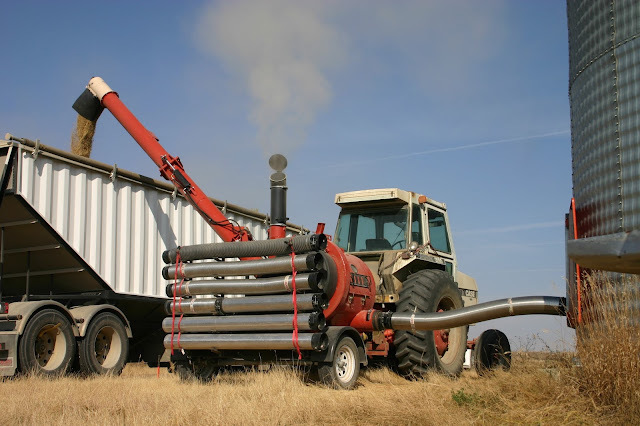 Modern grain vacuums such as the REM systems are the preferred choice when it comes to value for money, capacity, and efficiency for the modern farmer. Advantec Australasia is one of the prominent grain handling equipment providers in Victoria, Australia. With our award winning PRBM raised bed management system, we are renowned for providing efficient grain management solution in Australia. Head to our web page to learn about our product and offering. Labels: bulk grain storage, cleanfix fans, grain handling equipment, grain handling systems, grain storage, grain vacuum, grain vacuum maintenance, REM GrainVac, reversible fans. Maintenance of all kinds of machinery is the key to extending its lifetime. In the case of a tractor, where good quality models can last for decades, the benefits of keeping yours clean, cared-for and healthy are certainly not to be ignored. Depending on how often it is used, regular servicing is a must, however, there are ways to slow down the wear and tear of the tractor yourself. This tends to simply turn the debris and dirt into mud, which isn’t helping anybody and can actually wind up mixing with the water and going through the radiator, which lessens its effectiveness in cooling the engine. Blowing the debris out with a blast of air is certainly the most effective option. A portable leaf blower can be useful here. If you feel that the coolant is contaminated, it’s important to ascertain the best flushing option you have depending on the specific problem. Regular maintenance flushes will require you to remove the anti-freeze and pouring the appropriate radiator cleaning solution into the system while the engine is running for 30 mins to an hour. We’d recommend using special radiator flush, which can be purchased at most hardware stores, other options are to use dishwater soap and some people even use vinegar. One way of increasing your chances of avoiding problems in the first place is to invest in reversible fans for your system. Like you’d use the blower vac to dislodge debris that builds up, a reversible fan from CleanFix essentially does this as the machine is running. Unlike other fans, which can result in reduced efficiency and subsequent higher running costs, the CleanFix option reverses the air flow in order to create high-pressure blasts to reliably clean your radiator. 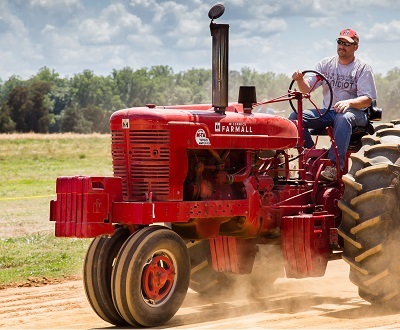 The costs of maintaining your radiator can be high and timely, however, all accounts suggest that the reversible fan option requires that tractor owners use significantly less fuel and spend less time to physically cleaning the radiator. If you have any special query then contact Advantec Australasia Pty Ltd (61 2 6056 2822) for more information. 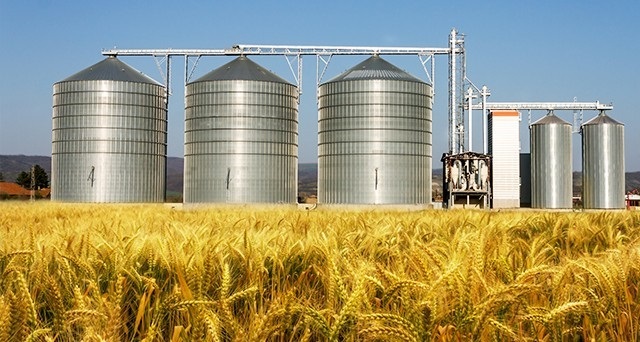 Grain storage plays a significant role in modern agricultural farming, so getting your storage solution right will lessen your workload, improve your efficiency and reduce crop loss in one go. 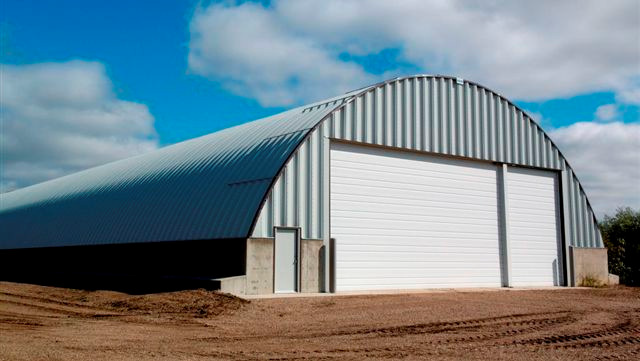 There are several different grain storage solutions you can employ in grain storage, so choosing the right one for your operation is your key to success. The moment your crop is ready to be harvested, you have several options available to you to store your grain. Many choose to use grain augers to feed their grain storage systems, as they allow grain gathering from floor height upward. Combined with a grain storage system, you have an efficient tool in keeping your crop fresh and taken care of in a timely manner. One of the most popular grain storage solutions is the traditional grain bin that stores various quantities of grain. Traditionally, these bins allow many tons of grain to be stored in a strong circular grain silo that allows for easy filling, access, and disposal into a transportation vehicle down the line. Modern grain storage solutions take into account all of the pit-falls of storing large quantities of grain in a single place, such as tackling the issue of bugs and pests, as well as crop loss due to heat and moisture. 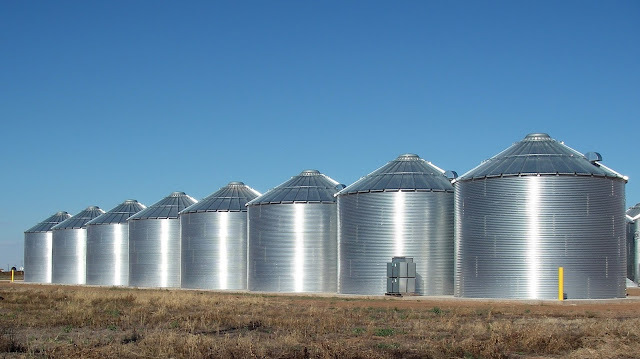 Modern grain storage bins tackle these problems head on with innovations such as increased side wall strength and ventilation shafts. 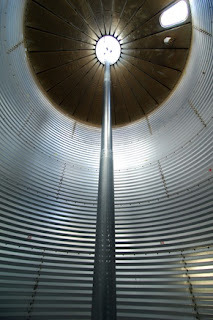 The ventilation shaft reaches from the bottom to the top of the bin, containing ventilation holes that allow the hot air and moisture in the middle of the grain mound to be dispersed through a flue at the top of the storage container itself. This eliminates the need for grain storage rotation and reduces the amount of crop loss for long term grain storage. Another popular grain storage technique to use when there is a surplus of the crop, or crops need to be stored for short periods of time, such as awaiting transportation. 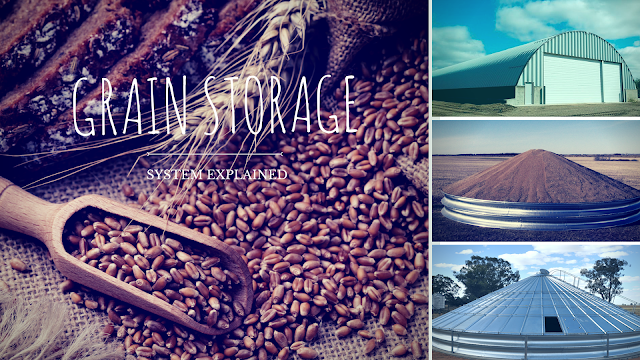 Differing from a permanent structure, these temporary grain storage solutions offer portability, as well as easy management and use. As simple as the large rings that contain the crop are, temporary grain storage rings allow fast assembly and disassembly, offering a powerful tool for farmers during harvest. One of the best grain storage tips is to use the combination of these elements to swiftly deal with your crop much faster than previously possible. The combination of the portable grain auger and the grain storage bin allow a highly mobile solution to your grain transportation requirements, allowing you to work alone or as a small team to complete your grain storage tasks in a single swoop. Increasing your efficiency on the farm is one of the biggest ways to save money as well as your precious time, leaving you to concentrate on other tasks, as well as getting your grain to sale earlier than possible before. This increase in efficiency allows your crop to reach the point of sale in perfect condition, with a total grain storage solution paying for itself in saved time and crop losses in the long run. 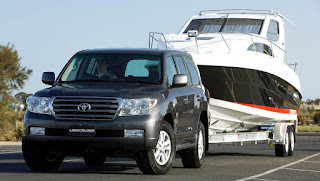 Choosing the right trailer tow hitch for your vehicle is not only important for the type of vehicle and trailer you have, but also to ensure the safety of the connection and the drivability of your vehicle. Choosing the right hitch depends on many different factors, including your vehicle’s classification, trailer size and trailer weight. 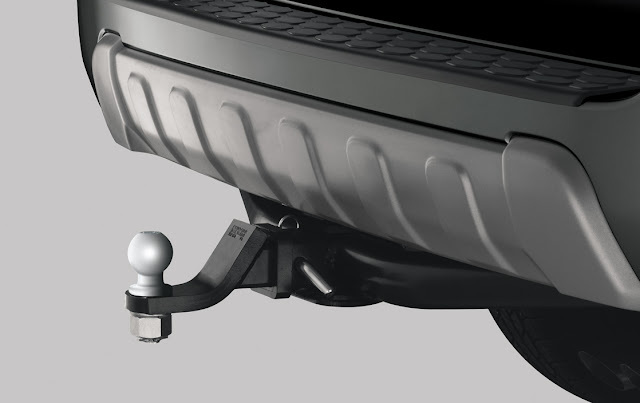 There are two popular types of towing hitch that are used the most in everyday situations, the basic trailer tow hitch and the air safe hitch, but many other specific towing hitches used for commercial or industrial fields are coming onto the market with special abilities such as the fifth wheel or flatbed hitch. In basic terms, a trailer hitch is a strong piece of equipment that attaches directly to a vehicle in order to tow a trailer or a load. The hitch is the device that provides the connection to the trailer from the towing vehicle itself. Considered a permanent installation, there are a few different forms of trailer hitch, depending on manufacturer, but many tend to have the same varied system of standardised mounts. These trailer tow hitches are placed into the different classification based on a number of factors. One of the most important factors is the weight of the trailer or the load you want to tow. 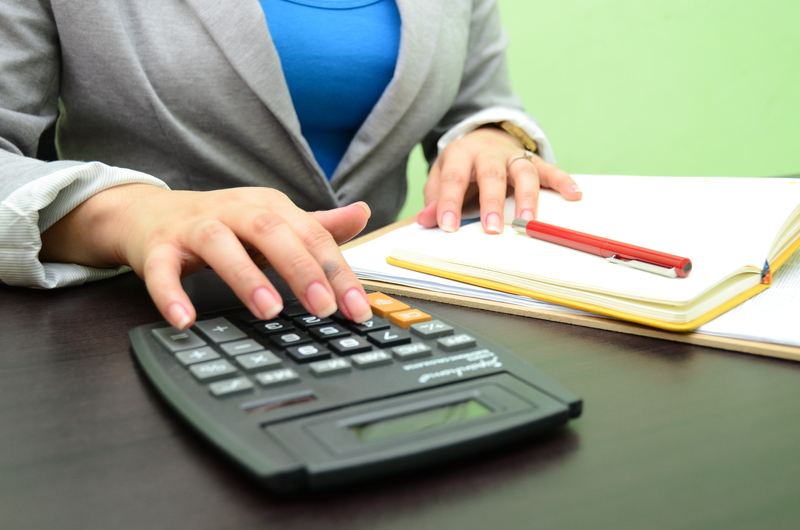 In a complete system, you have to calculate the maximum trailer load weight you can safely tow by checking the towing ratings of your hitch ball, ball mount and hitch itself for the lowest figure. The Hitch Class 4 supports all of the previous vehicles, discounting the sub-compact vehicle classification. The class 5 hitch is usually kept for use with vans and SUVs, light Utes and heavy duty Utes. 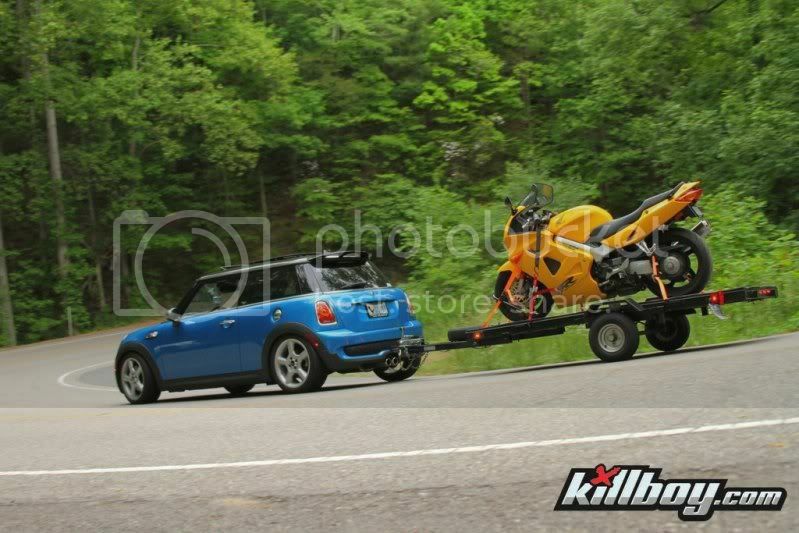 The Class 6 Hitch is usually reserved for heavy duty utility vehicles, light trucks, high-performance SUVs and off-roaders with extreme pulling power and not the average car. 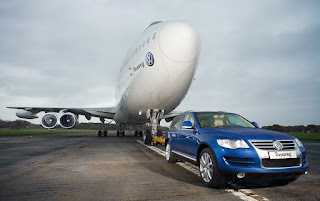 As a hitch is connected to the rear of the vehicle, the more weight that is added, the more your vehicle has to pull. 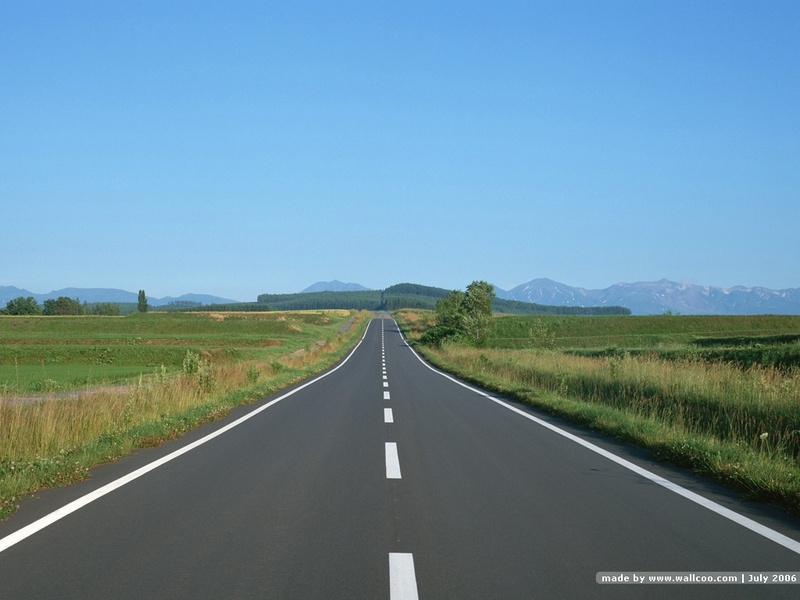 Given the large weight on the rear of the vehicle, this can often hinder ride quality and ride smoothness to a degree that those little bumps in the road can prove quite painful and in some cases dangerous to a heavy load setup. 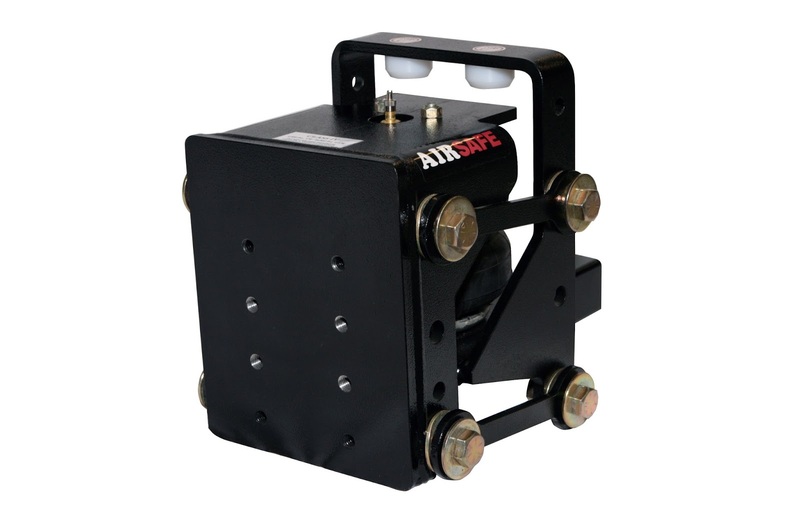 In these cases, the airsafe hitch is a great innovation in the trailer moving industry and provides a dampening effect to a trailer, to smooth out all of those bumps in the road. The system works by placing the hitch ball or pin system itself onto a bed of compressed air, which is like having an extra layer of suspension between you and your trailer. This system works so well and is easy to install and attach that many trailer hitch users are now switching to this system. Simply install the air hitch and use compressed air to attain the correct trailer height and you are ready to go. Not only does it improve on ride smoothness, it also improves safety when it comes to maneuvering your vehicle and trailer combo. When it comes to trailer towing, nothing is more important than safety. Getting your trailer hitch installed correctly by a professional will ensure that you have a solid and secure connection to your trailer. Knowing the weight of your trailer when empty is an important step in keeping you safe and carefully distributing the weight of your loads and securing them safely to the trailer is the final step in your trailer pulling safety checks that will ensure you have a smooth and safe journey. Whilst many farmers would prefer to use methods of grain handling that have been tried and tested for many years, investment in new grain handling equipment can vastly improve productivity and decrease crop loss as you look to the future. Using older equipment that is bordering on being beyond repair or is simply a hazard to operating may be affecting the overall efficiency of your grain handling, and investing in new machinery can pay dividends for years to come. If you currently do not have sufficient grain handling equipment to meet your needs, you may want to consider purchasing some of the tops of the line products that have the latest technology under their belt to improve your entire grain and crop harvesting procedure and set you up for years to come. You’ve come into the market at just the right point to see new developments in grain handling that will help with the day to day tasks required by farmers around the globe. The advantages of using new equipment are huge, and one of the main reasons why so many farmers upgrade is due to the increased efficiency in how the machinery itself operates. Mixing, sifting is done much more efficiently by the latest equipment, and processing and packing are done with a mix of manual and automatic procedures to give you the best quality control with less manual labour. Some of the best grain handling equipment in Australia is currently using specialist treaters that treat seed by means of a gentle drum system instead of a grain auger, which causes less damage during the processing stage. New separator equipment ensures that the separation process is completed more quickly and accurately during its first processing point; therefore less processing equipment is needed in the long run, saving time, money and plenty of extra unnecessary equipment in the longer term. When it comes to drying and airing of your grain, there has been a huge leap in the technology behind grain storage and how the grain is treated for fungus, residue and moisture build up. Some of the latest grain storage units contain vertical central columns that are perforated to allow air to be channelled directly to the middle of a grain pile to reduce moisture and crop damage. Standard grain bin storage hasn’t changed much over the past couple of hundred years, but with new innovations coming onto the market, the loss reduction that the advanced grain storage system allows almost pay for themselves over a few years’ time. 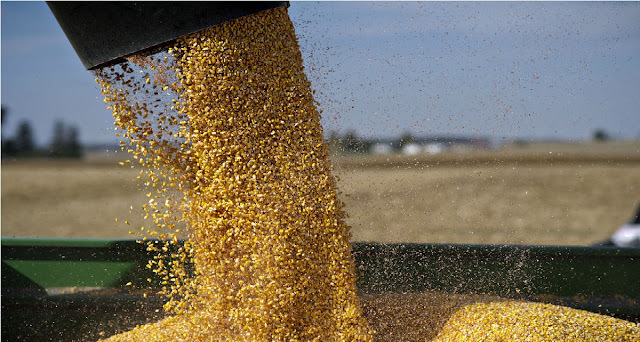 Grain augers are one of the necessary tools farmers in the grain industry use to help make the grain storage, movement of grain and transportation preparation easier. Saving countless amounts of time and money in the process, the latest grain augers are available for jobs small and large, and are often scalable in their design in allowing a truly versatile range of uses to suit any size production. From grain vacuums to entire grain handling systems, the world of grain handling equipment has come a long way when in technology and efficiency. The latest equipment offers farmers the chance to improve their production, from minimising crop damage to increasing crop storage life that will have a drastic impact on many farms and industries nationwide. Stepping up your farming production can be a thrilling experience, leading you to new paths in your farming career. One of the secrets to becoming a more efficient farm is with the addition of equipment that is designed to make your life easier. One of the most helpful pieces of equipment for grain handling has to be the grain auger – but what is a grain auger and how does it help? This article will help to define the use of grain auger, swing away auger systems as well as a host of practical uses. The grain auger is a useful grain handling equipment for moving large amounts of grain at one time. Its best use is for transporting the grain off of the floor from a grain pile using a special type of raising screw that runs through the long frame of the main mechanical unit itself. This agricultural screw elevator has many practical uses, its main goal being to raise grain from ground level up to the top of a grain bin or grain silo. For this purpose, many different size grain augers are available, ranging from a few meters in length to tens of meters in length. 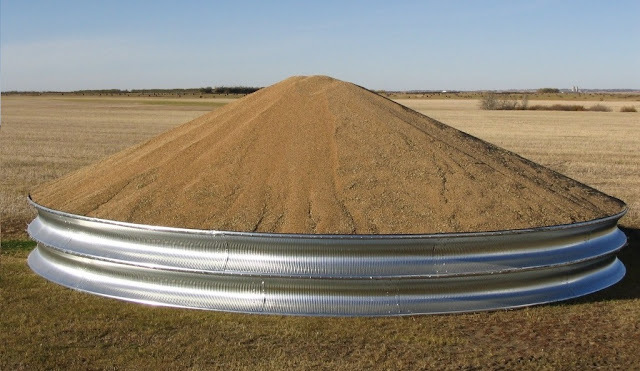 Grain augers are also useful in elevating grain from temporary grain storage sites and onto storage containers positioned on transportation such as trucks or trailers. As the grain auger is able to lift the grain from the ground height, there is an open screw bit that is exposed to the grain, in order to reach the grain from ground level. Due to their versatility, many grain augers are fitted with their own diesel and hydraulic power plants to offer localized power with no additional input. 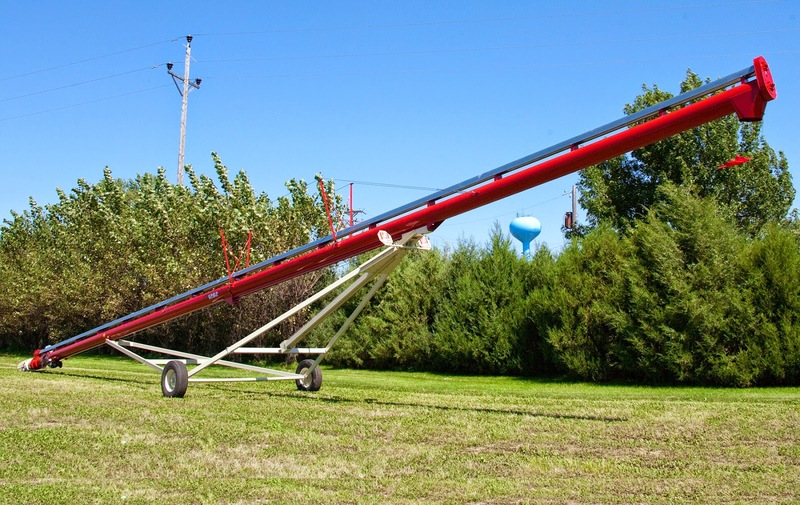 Many of the big manufacturers offer a range of different grain augers, some of which have trailer capabilities with wheels. This makes them the ideal portable grain augers, with portable grain elevators now becoming the most sought-after agricultural equipment across the country. These types of grain auger work on the same principal as their older siblings. Being new innovations in grain elevation, they have a few distinct features that set them apart from the rest. The first feature of a swing away auger is the ease of use and the speed in which grain can be elevated to a taller grain storage unit. Swing away augers offer a reverse scissor lift system that allows the auger to be raised via its own hydraulic system and be placed in the field to gather the grain. With self-levelling sensors and extendable axle width, you can trust the ultimate stability of this type of auger to get the job done without any issue. With a new range of auger hogs now available, your farming efficiency will be vastly improved, giving you more time to get other jobs done. Advantec systems are designed to work in combination with each other to get your grain from the field to its storage, improving your process and efficiency. With a range of innovative products in grain handling, this season could be your biggest season yet! Whilst the main benefits of storing grain are evident in the risky business of farming – price fluctuations, overproduction and harvest loss are the main reasons why the majority of commercial farmers use an entire system of grain storage to maximise their crop value and minimise their crop loss. 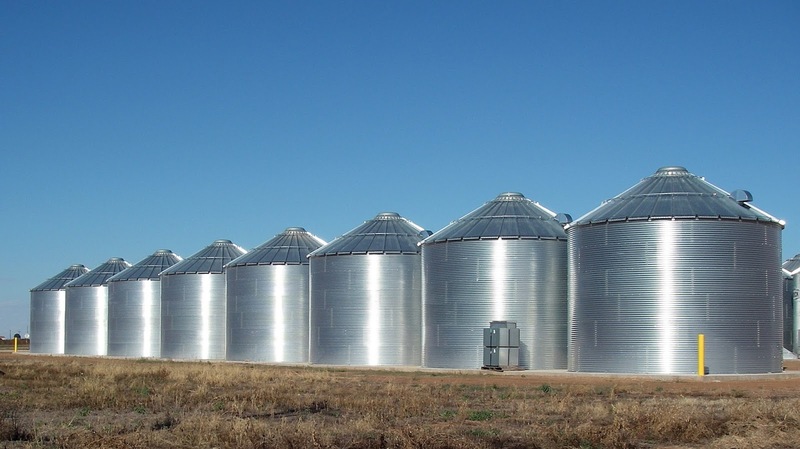 There are a number of dependable grain storage systems on the market, so let’s take a look at some of them, and their uses and benefits. Grain storage comes into play for a number of reasons such as overproduction, grain transportation, and to minimise the risks associated with grain storage. The main grain storage system in place amongst large farms aims to keep the grain in dry conditions and minimise the risks associated with grain loss, such as to rot or fungal growth. In these grain storage solutions, temperature control, ease of access and the ability to move large amounts of grain from the site to a storage unit and then on to transportation makes the difference. The majority of grain storage is done for a medium period of time, and therefore needs to be kept in a cool, and dry place to ensure the crop is not damaged. Bulk grain storage silos exist to allow a huge quantity of grain to be stored in an easily accessible unit for future transportation. Maintaining the temperature of the grain storage in harsh weather is a challenge. Grain storage such as Advantec’s “Grain Guardian” is a modern take on the old silo technique, with a few twists. It has a clever aeration system that allows for the movement of air over the top of the silo to take away heat build-up which can cause issues with crop degradation itself. This innovative method is not where the grain guardian stops, as with rigid sides that include strengthened hoops surrounding the building, there is no internal structure so you can maximise the internal volume of grain stored within. For crop overproduction, temporary measures are needed to store the excess and maintain its quality, in times where other grain storage devices are full or non-functional. 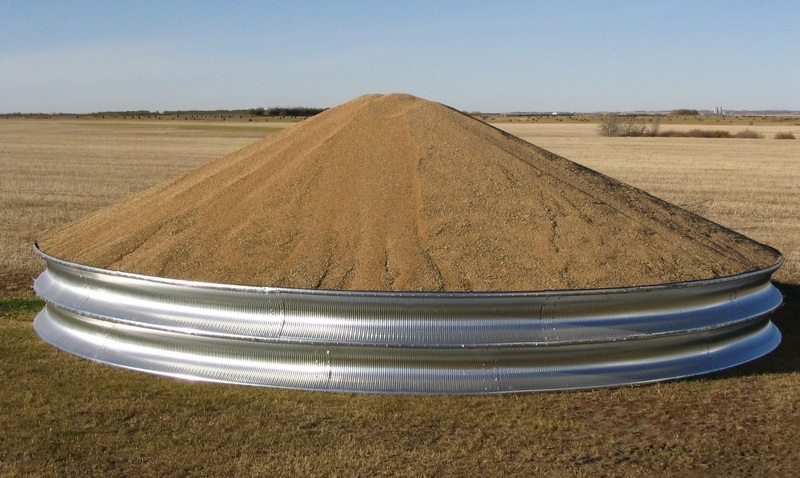 In these instances, temporary hoop structures are used to store the grain at ground level, allowing for a temporary solution when awaiting transportation. Many farms use temporary grain storage solutions to keep the grain on site and minimise on extra costs of transportation and storage at another site. These temporary measures ensure that the crop stays in optimal condition for a short period of time, allowing storage elsewhere on site at a later date. For more long term grain storage solutions, a larger grain storage device is needed. 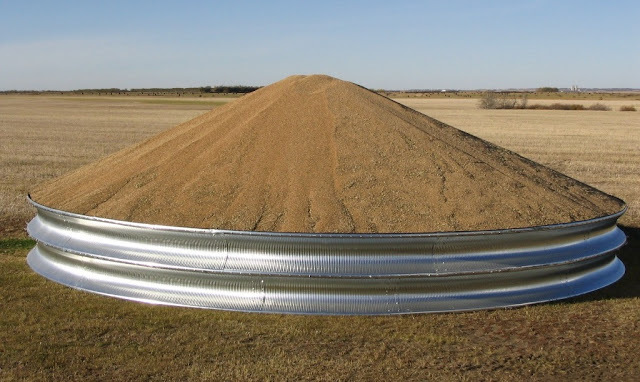 Advantec is now using some of the most innovative technology in the industry to create grain-air tubes that allow for the circulation of cool air from within a crop pile itself. These inventive structures consist of a central pole that has holes punched in it that allow the air from the central pile of the crop to rise to the top of the grain storage silo and out into the air. The build-up of heat from within the central column of the crop is what turns crop into rotting crop, and with a minimal risk of fungal growth due to the warm air being taken away, these longer term grain storage solutions are best for larger farms, or farms that keep grain for longer periods of time. It’s important to take the time to select which grain storage solution fits your needs best so you get a high yield and loose as little product as possible. Advantec offers a range of quality options that can help you make the most of your crop and can also tailor a unique solution to perfectly meet your needs. A grain auger is a piece of machinery used in the agricultural setting to move all sorts of grain from one place to another. It employs a specific type of screw elevator to take in the grain from one end of the machinery to be lifted and funnelled out through the other end, for placing in grain bins or trucks. It takes the grain from the ground level and transports it through the grain augers’ tube safely and securely. Whilst operating these machinery accidents occur due to the improper transportation and use of the grain auger itself. 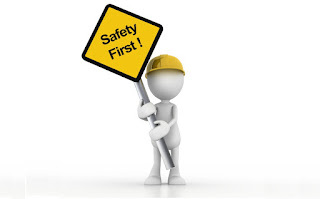 Many accidents occur on a yearly basis because the grain auger has not been lowered before transportation. Many injuries and even death by electrocution have resulted from the grain auger being transported without being properly packed down and has hit overhead power lines. 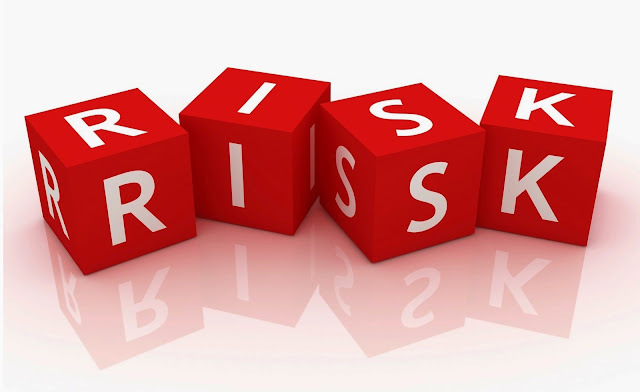 It is for this reason that many safety information notes, signs and manuals have been produced to help minimise this risk. It is in the interests of the safety of all in this particular working environment that when not in use, all grain augers should be lowered into its transportation position before moving. It is essential that the grain auger is kept in good working condition, with regular maintenance checks and repairs throughout its working life. Portable grain augers are one way to help minimise the risks associated with overhead power lines because they tend to be on a smaller scale and allow for transportation. Many portable grain augers include safety measures so that the device itself cannot be transported while fully vertical, this is a good innovation in the agricultural machinery industry and one which many other manufacturers can take note. Some innovative grain augers like "Meridian Swing Away Augers", has a reverse scissor lift standard on all of its models. 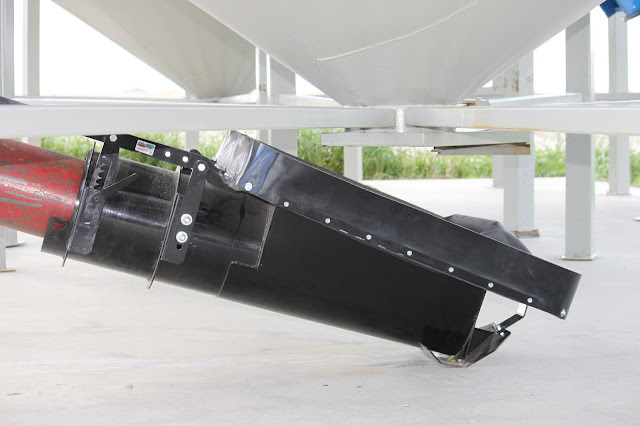 This type of grain augers has a unique hydraulic cylinder lift which allows for close positioning to tall bins while increasing stability during transport. It is estimated that over 200-grain auger injuries occur each year in Australia, and the government has set about trying to highlight the problem, as the risks associated with grain augers is low on the recognition scale. More needs to be done to protect farmers and agricultural workers, with funds helping to highlight the issues and risks associated with grain auger equipment high on the priority list of the agricultural safety executives. Finger, hand and arm injuries are also a high-risk factor when using a grain auger, as it is easy for a worker to try to unblock the turning screw functions and get trapped within the machinery. Other risks associated include the risk of not being able to see the grain auger end if it is hidden under the grain itself. This poses multiple risks, so using the correct safety clothing and protective gear is essential and common sense should always be used when operating agricultural machinery. As grain auger safety becomes more widely recognised, the likelihood of the injuries, deaths, and accidents suffered at the hands of the grain auger are likely to fall. 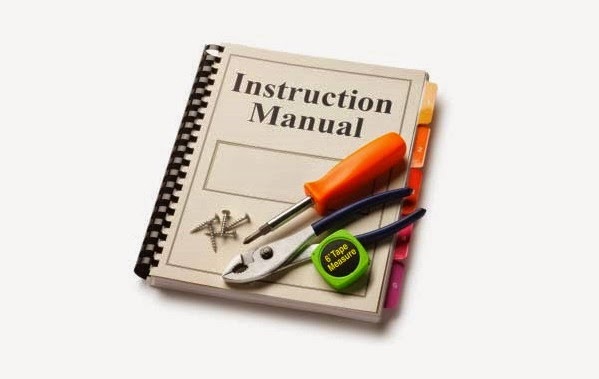 More is needed to be done to improve the safety of the actual machinery itself, but with a registered and trusted seller of grain augers, come a full safety manual and short training in how to operate one of the country’s most risky types of grain handling machinery.